Are you frustrated by the amount of time it takes to export video to the H.264 format? Are you unable to use your Mac for other purposes while you are converting videos to the H.264 format? Then why not do as I did and treat yourself to an Elgato Turbo 264 Video Encoder. 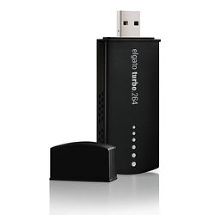 This little USB device (not much bigger than a pen drive) converts videos for playing on iPod, iPhone, AppleTV, and Sony PSP. While a Mac’s CPU is a great general purpose number cruncher, the chip on the Turbo 264 was designed to do nothing but churn out H.264 video. Videos can take a long time to encode to the H.264 format – sometimes longer than the actual playing time. What’s more, H.264 video encoding can demand a sizeable chunk of system resources. The Turbo 264 accelerates video encoding up to four times faster on Macs with Intel Core processors. On an older Mac like a PowerPC G4 or PowerPC G5, the acceleration is exponentially faster – some users report up to 10 and 15 times faster. I converted a 1-hour episode of The Apprentice (original file size 2.6GB) to an m4v file in a little over 40 minutes. The size of the m4v file was 575MB. I then converted the same file without the Turbo 264 plugged in. One hour later, the export was complete and the size of the m4v file was almost 700MB. So how do you instruct the EyeTV to use the Turbo 264? Simple – you plug it in and then click the “Export to iPod” or “Export to AppleTV” button on the EyeTV toolbar. If the Turbo 264 is plugged in, the EyeTv will automatically use the Turbo 264’s processor to do the file conversion. 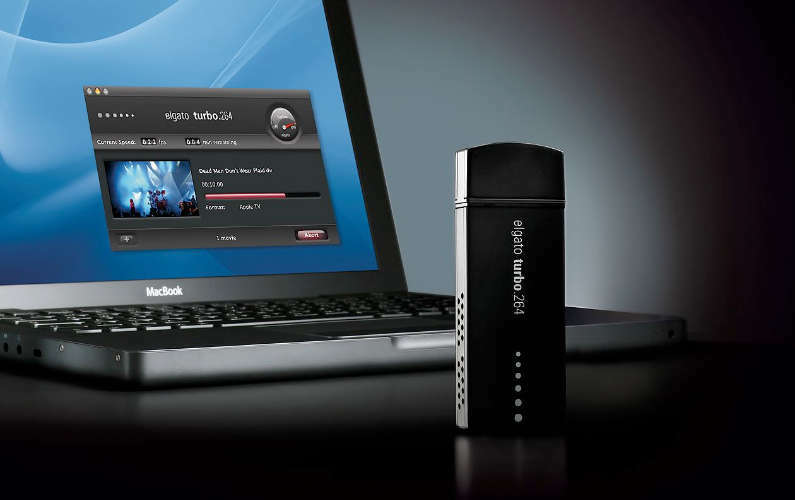 More information is available from Elgato’s website.